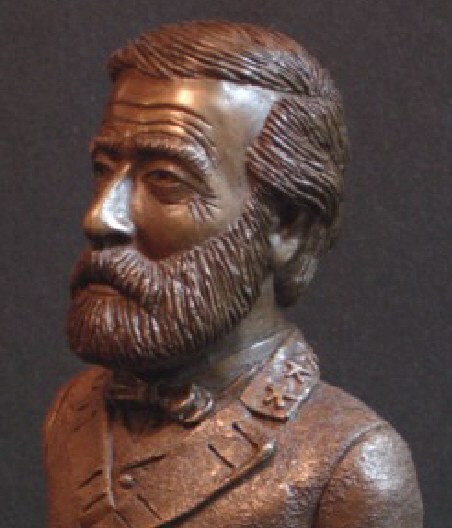 At the 2005 celebration of History Meets The Arts in Gettysburg, Randy Groves unveiled his fifth and sixth pieces on General Robert E. Lee, one being the magnificent bust in bronze. 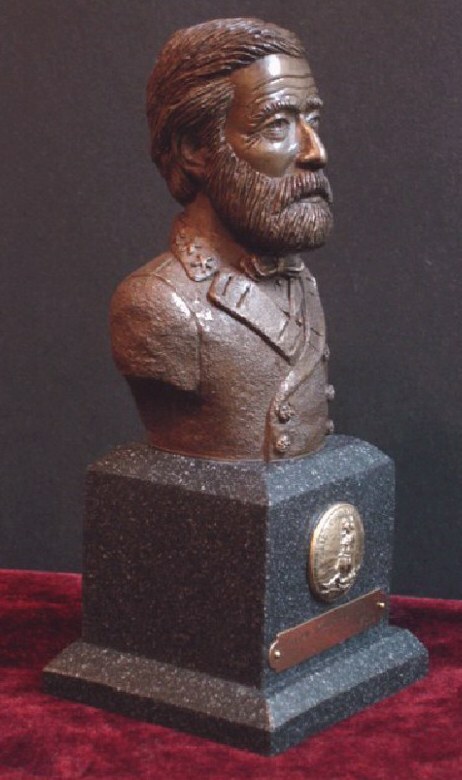 The bust of General Robert E. Lee was cast in three mediums, cold cast Bronze, pecanwood and also in White Marble. 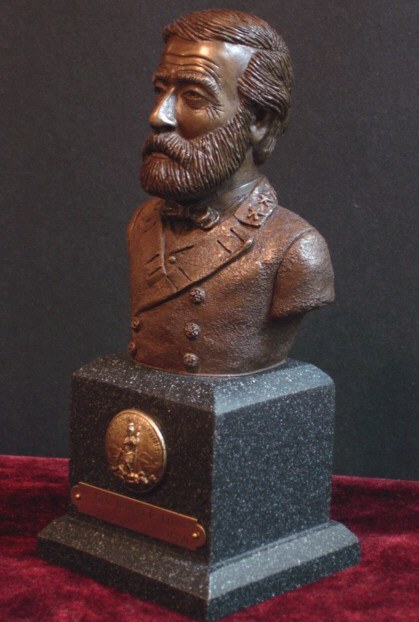 The Base is available in either grey Granite or Black Marble and Each has the Virginia State seal and a brass name plate, listing the title and edition number of the piece. 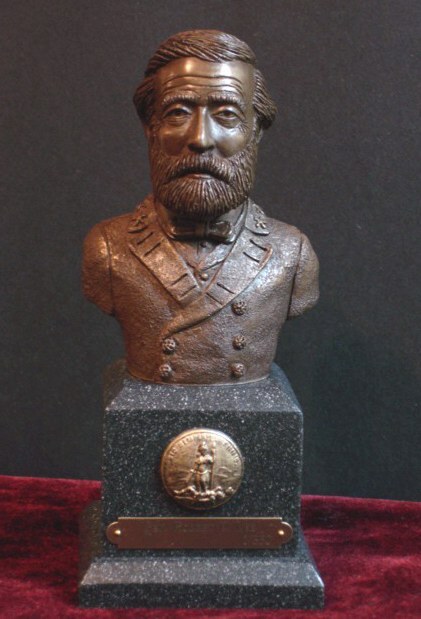 Dimensions of the piece are 10" high X 4 1/2 " wide X 3 1/2 " deep.